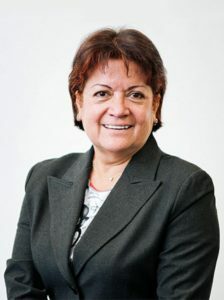 Dr. Consuelo García de la Torre is a full-time research professor at EGADE Business School Monterrey, member of the SNI National Research System of Mexico (SNI1), and researcher at the Strategic Research Group in Social Innovation. She holds a Ph.D. in Administración from HEC University, Montreal, Quebec, Canada, and a Master’s Degree in Management at the Lovaina-la- Nueva en Bélgica University. Dr. Consuelo García de la Torre’s fields of expertise include: Sustainability; Ethics and Corporate Governance; Entrepreneurship; Social Responsibility; Consumer Behaviour; Marketing Strategy and International Marketing; Social Marketing; Global Management; Industrial Psychology; Management and Humanism; Intercultural Negotiations.